While autism presents itself differently in every individual, some people display only some signs of this mysterious disorder. 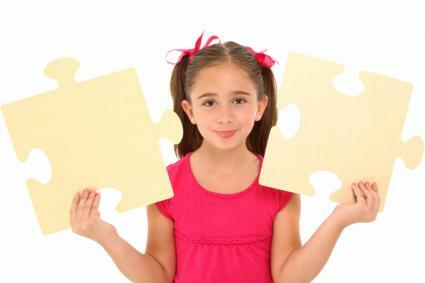 If you or your child have only some of the mild symptoms of autism, you may have atypical autism, which used to be known as Pervasive Developmental Disorder - Not Otherwise Specified (PDD-NOS). Atypical autism and PDD-NOS are no longer official diagnoses; however, depending on the number and severity of characteristics, an individual with atypical autism may still be classified as being on the autism spectrum. With the latest revision of the Diagnostic and Statistical Manual of Mental Disorders, several disorders, including PDD-NOS or atypical autism, were classified together under the name "Autism Spectrum Disorder." The criteria for receiving this current diagnosis are stricter than for some of the older diagnoses like PDD-NOS. About half of people who were once diagnosed with PDD-NOS or atypical autism actually qualify for a diagnosis of ASD under the new guidelines. Another quarter may have what was once called Asperger's Syndrome, but they too may now qualify for the more general ASD diagnosis under the latest DSM revision, depending on the severity of their symptoms. The final quarter have only some of the symptoms of autism and are unlikely to be diagnosed with an autism spectrum disorder. Ultimately, someone with atypical autism or PDD-NOS may struggle with many of the same challenges as other people on the autism spectrum; however, they may be completely symptom-free in other areas. Additionally, atypical autism may be recognized at a later age than classic autism, partially because individuals with atypical autism are less severely affected and may not draw as much attention. Strong interest in a narrow subject area, such as trains, machines, animals, etc. Many adults, who grew up in a time when autism spectrum disorders were often misunderstood, may have developed very effective coping mechanisms on their own. However, if adults were significantly impaired enough to receive a diagnosis during early childhood, they may still display many of the same symptoms as adults. One study published in the Journal of Child Psychology and Psychiatry found that individuals who were diagnosed with atypical autism before the age of five still displayed marked social impairments as adults. There was no mention of the type of therapy used to treat these individuals in childhood. If you're worried that you or your child has some or many of the characteristics of PDD-NOS, talk to your doctor right away. With an autism spectrum disorder, getting help early can make a huge difference in an individual's life. Learning coping mechanisms can help you or your child overcome the challenges and go one to have a happy and fulfilling adult life.